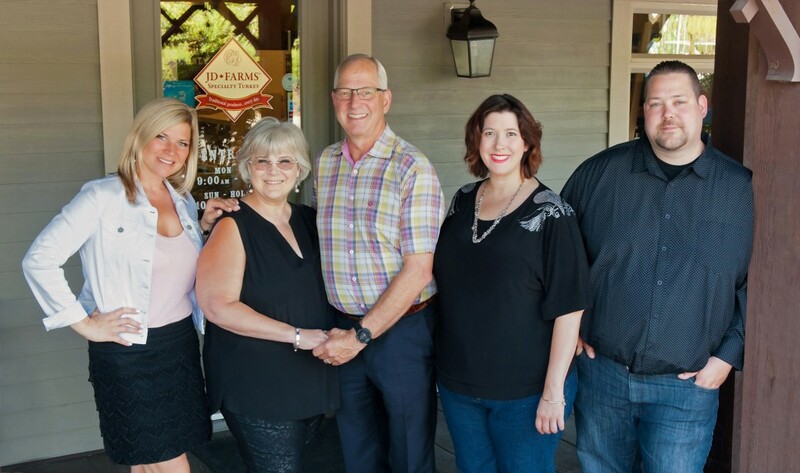 My parents, Jack and Debbie Froese, are the owners and founders of JD Farms Specialty Turkey, a family-run producer of specialty turkeys located in the beautiful Fraser Valley in Langley, BC. Jack and Debbie grew up on farms in the Fraser Valley and continued their farming tradition with the purchase of their present farm in 1979. My brother Jason and sister Jenny and I now manage the farm business—a true family operation. My parents have always been ahead of the consumer curve when it comes to poultry. They started to raise specialty turkeys at a time when no one else was, recognizing a need for antibiotic-free turkeys. There were specialty chickens available on the market, but no one raising specialty turkeys. We started selling our turkeys from a small store, built behind the family home. We hired a meat cutter, and a family friend to help sell turkeys that first Christmas. Fifteen years later, our little store was bursting at the seams. In July 2008, we opened our current store at the corner of the property, where we now produce over 120 products made with turkey, including sausages, deli meats, soups, turkey pot pies and a large variety of prepared meals. Lunch at JD Farms is a busy time, with lots of mouth-watering options including hot open-face turkey sandwiches, wraps, soups and salads—the lineup is often out the door. JD Farms employs a team of 30 people. Some have been with us since the opening of our first on-farm store. We have a great team at JD Farms, more like a family. We enjoy bowling nights, summer barbeques, and Christmas parties. 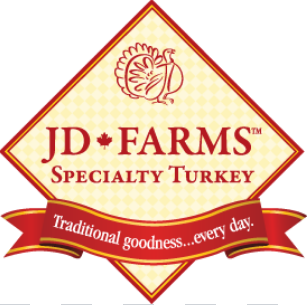 We now raise two different types of turkeys, the JD Farms Specialty Turkey, and the JD Farms Heirloom Bronze Turkey. 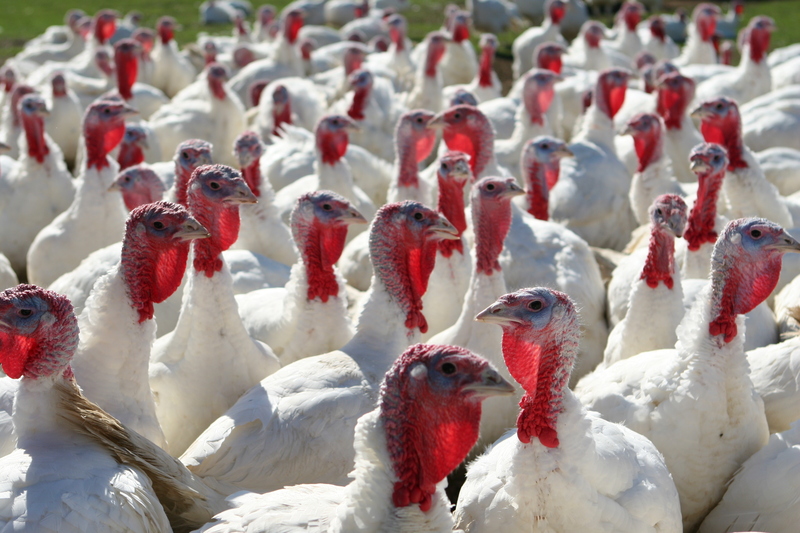 All our turkeys are raised without antibiotics, and are fed a vegetable grain diet free of animal by-products. Our Heirloom Bronze turkeys are also fed a non-GMO diet. People ask, what are Heirloom Bronze Turkeys? They are the traditional black feathered turkey—the one you might picture running around in a field. They are a richer-tasting bird, as they are known to have a thicker layer of fat under the skin, which moistens the meat, making even the breast meat taste richer. Our turkeys address customer concerns about what is put in their food. From a health perspective, people are apprehensive about antibiotics and genetically modified organisms in their products, and our turkeys are a great option for them. 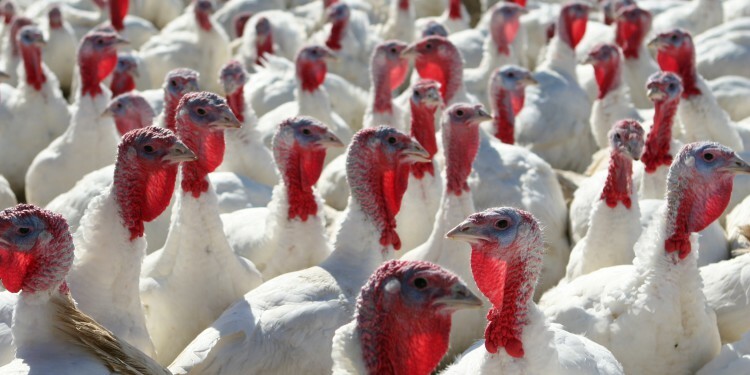 The turkeys meet a stringent certification process that lays out the nutritional requirements for the birds and addresses their living conditions. Our turkeys are specialty-certified by an independent auditor, and we were one of the first turkey farms in Canada to be certified under the Global Animal Partnership (GAP) program. JD Farms recently added pet food to the product line, producing high-quality raw dog and cat food. Two years ago, my brother Jason, who has always fed his dog a diet of raw turkey, saw the need for a premium dog food. Aware of the rising consumer demand for quality dog food, and with the help of an animal nutritionist, Jason developed a complete raw diet pet food specific for dogs and a different recipe specific to cats. In addition to raw pet food, we also produce freeze-dried turkey breast treats for cats and dogs. JD Farms raw pet food and treats can be found in our on-farm store and local pet specialty stores throughout BC and Alberta. It’s important to us at JD Farms to support our community and local charities. JD Farms is a proud member of Canadian Federation of Independent Grocers, Greater Langley Chamber of Commerce, and the Aldergrove Business Association. Year round, we support a variety of organizations such as the Aldergrove Rotary, Langley Animal Protection Society, Langley Memorial Hospital Foundation, Langley’s Salvation Army – Gateway of Hope, the Alzheimer Association’s “Walk to Remember”, the Aldergrove Agricultural Fair, the “BBQ on/off the Bypass,” Kimz Angels, the Langley Rams, and numerous community fundraisers. Annually, we host our own “JD Farms Fall Festival”—a fundraiser for the Terry Fox Foundation. Melt butter in fry pan over medium heat; add onions, mushrooms, pepper and herbs. Brown lightly for 5 minutes. Add cranberry sauce, stir until well mixed. Pour mixture over bread crumbs in large bowl; gradually pour in turkey stock until moistened. Stuff into turkey cavity and roast. 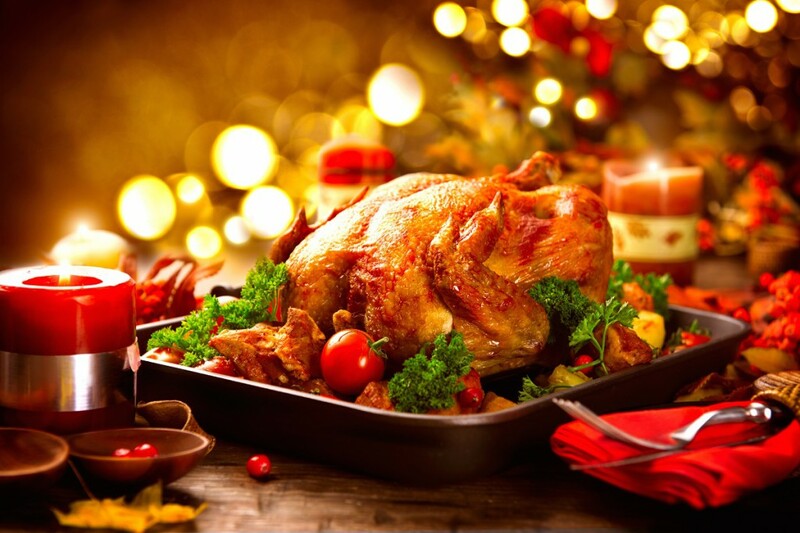 IMPORTANT: ALWAYS STUFF THE TURKEY JUST BEFORE COOKING IT – NEVER STUFF THE TURKEY AHEAD AS BACTERIA CAN GROW. 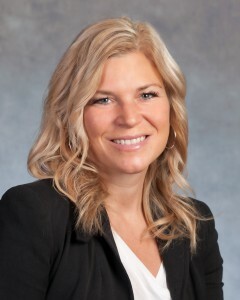 You can contact Marilyn at jdfarms.ca.